You wouldn’t be reading this blog if you hadn’t already transformed your business by letting Salesforce worry about the back-end infrastructure of a critical part of your business, your sales process. There’s another critical part of your business you might not be thinking about right now, but you should – that depreciating relic of a PBX (private branch exchange) in your server room. Decades ago, buying an expensive phone system was your best option for controlling the flow of communication in and out of your office. Today, phones are no longer restricted to your desk. Vocalnet has done the same thing to business phones that Salesforce did to the sales process – we disrupted it. We moved all the key features you need to the Cloud, added some breathtaking new abilities, and priced it to make you money. Typical Vocalnet customers have 5-500 phones, and pay 50% or less than they did with their former phone company. It’s obvious. At some point most phone calls leave your office. Your choice is not whether to hand the call over to someone else – it is when. In 2013, most business internet connections are as reliable as old-fashioned phone trunks, and when they aren’t, you can arrange alternative connections. With Vocalnet, your IP phones plug into Ethernet jacks, not phone jacks, and we route your calls to anywhere in the world. With Vocalnet, you manage your phone system through our web portal, let us worry about the details, and take advantage of innovation that doesn’t happen on an old in-house PBX. 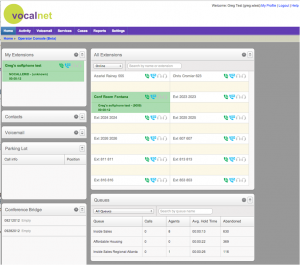 Automated Call Distribution (ACD) is one way Vocalnet helps you manage your inbound call flow better. We let you designate reps as “agents” who log in and out to reflect their availability. You can route inbound calls to the agent who has been waiting the longest for a call, or offer it to everyone to reward the most ambitious team members. 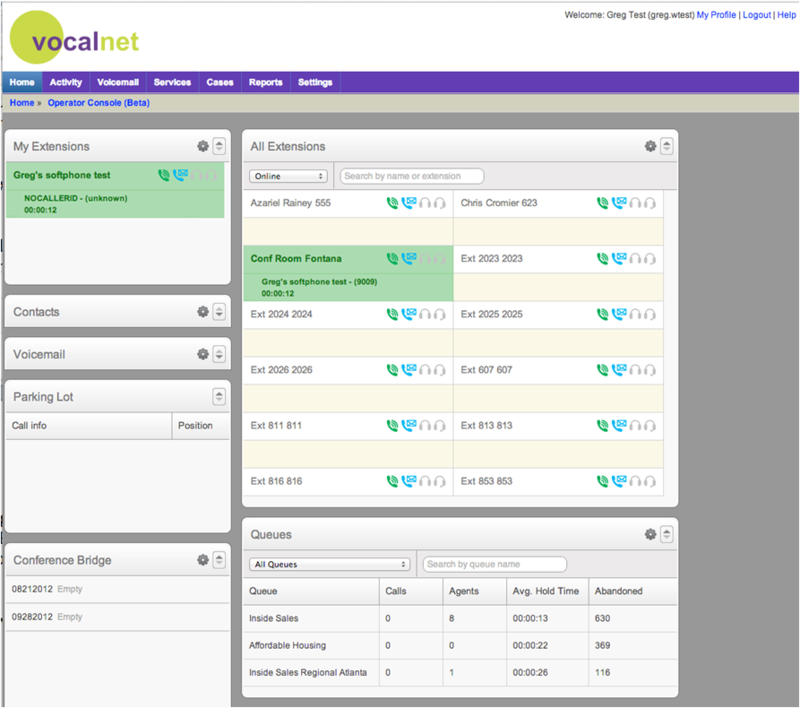 Vocalnet allows you to review any time period to reward your best performers as well as “listen live” and “whisper coach” as you watch your call flow in real time on our Operator Panel. We put in the time to create the world’s simplest and most elegant Salesforce.com interface. When you use both Salesforce and Vocalnet, you can click-to-dial outbound calls, auto-log all call information, and identify inbound callers with the greatest of ease. Vocalnet has been helping businesses across America improve the way they communicate for over a decade. In a few minutes on the phone we can rapidly assess your situation to see if we would be a good fit for you. Then, our no-quibble guarantee lets you try out our service without risk. When you are ready to scale up, your own Customer Advocate will design your system and call flow with you, not throw you the manual. And when you are ready to change or grow, just do it from your web browser; it is as easy as plugging new phones in.